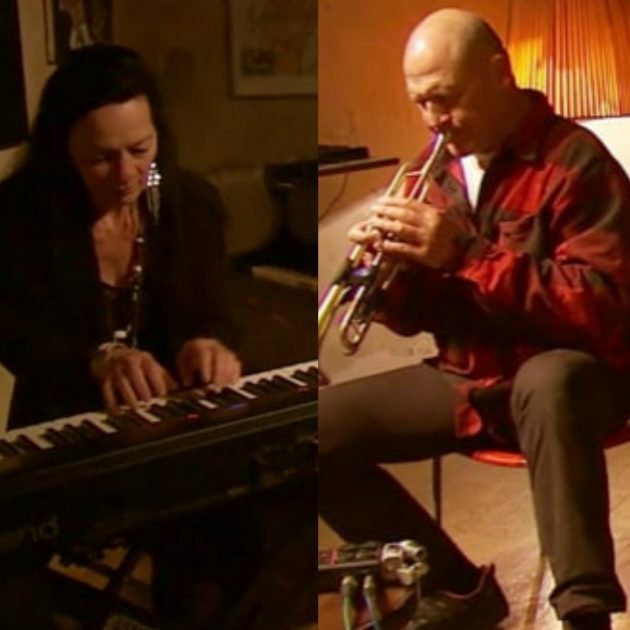 Simone Weißenfels & Bert Stephan (Leipzig/Dresden) “Free jazz sense jazz”: aquesta és una de les definicions més acurades de les sessions d’improvisació que el duet alemany format per Simone Weißenfels (piano) i Bert Stephan (trompeta i fliscorn) fa de les seves sessions d’improvització. Bert, learned carpenter, studied double bass, later then guitar and trumpet. In 1985 he founded his first own band “DEKAdance“. Dekadance is a Rock band from Dresden, Germany, founded in the early 1980s. Their music is influenced by many genres, for instance folk, jazz, rock and experimental – being described as is quite Zappaesque. They were seen as an alternative music band that shared more or less open criticism of the East German political system. The band is known for its surreal and bizarre form of humour that tends to underpin its live performance. He is performing in countless other bands and projects and often touring respectively appeares in TV with the famous comedian Olaf Schubert. The mideighties also were the time when Simone Weissenfels starts playing improvised music. Bert& Stephan met first time in his hometown Dresden playing a show at the same venue. 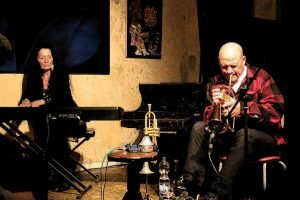 Since about 2008 they started performing together with different musicians as Adam Smith, Elliott Levin,USA as with many german artists. Their completely different musically backgrounds (Simone: noise i ambient; Bert: Rock) -dekadance formed the ground from which they’re developing and rising their improvisations. Freejazz without jazz merciless, improvisation moony scales & melodies dodgy and tricky abrasive. Simone: is one of Leipzig, Germany’s most versatile artists in contemporary music and improvisation up to ambient and noise. Preferential she is improvising with grand-piano, keyboards and laptop.